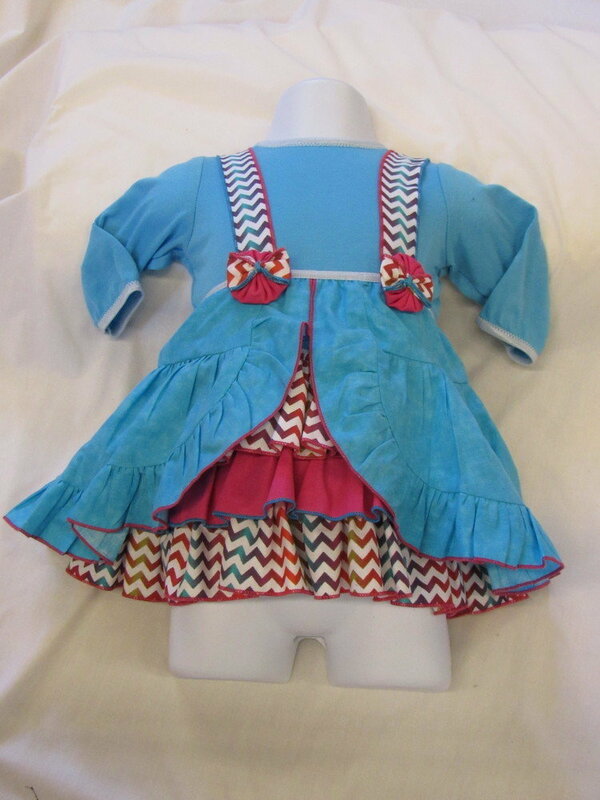 Turquoise dress long sleeve bodysuit built in with three ruffled layers.Layers are two chevron print and one fuchsia ruffles accented with turquoise and fuchsia YoYo at waistline. These dress come with a headband with Two matching YOYo on elastic band for easy in putting on. The turquoise and printed fabric is cotton. The turquoise bodysuit is of stretchable knit fabric. These dresses are washable with ironing needed.